Epic. It may be the best word to describe musician, interpreter and composer Nels Cline. Even though Cline, in his 50s, has finally received a wider recognition after joining Wilco, the guitarist has hardly rested on his laurels. If anything, he has multiplied them. His output and dedication to his true roots -- contemporary, experimental music -- has been overwhelming. After releasing a mammoth double CD, Initiate, containing one studio and one live recording, with his primary band The Nels Cline Singers less than six months ago, it is a bit staggering that Nels Cline has offered another ambitious double-disc project, Dirty Baby, in collaboration with the artwork of Ed Ruscha and poet/producer/project coordinator David Breskin. "Epic" also describes Cline's scope on Dirty Baby. Breskin, who coordinated and produced the ambitious project RICHTER 858, collaborating with 16 writers, guitarist Bill Frisell and the paintings of Gerhard Richter, approached Cline with a new project, using 66 later "censor strip" paintings by LA-based artist Ed Ruscha as the central point. Cline successfully built a musical bridge between the visual medium of Ruscha's selected work and Breskin's ghazals, a variation of traditional Middle Eastern metered poetry (only included in the deluxe packaging), acting as a collaborative interaction between the written word, visual art and music with the listener/viewer. For Dirty Baby, Breskin gave Cline only two instructions: One disc ("Side A") should be one continuous piece inspired by Ruscha's Silhouettes, and the other disc ("Side B") should consist of 33 one-minute pieces based on 33 of Ruscha's Cityscapes paintings. Cline assembled 14 musicians, including brother Alex Cline, Jeff Gauthier, Jon Brion and The Nels Cline Singers' Scott Amendola and Devin Hoff, to execute a combination of composed and improvisational scores. The result is stunning, with the melodic and the atonal juxtaposed, often flowing from orchestral to industrial and back again. On "Side A," Cline maps a musical journey from a lighter, folk-based romantic idealism of the expansion westward (think of a skewed interpretation of Aaron Copeland) to an increasingly darker and denser sound of urbanization and industrialization. As Cline describes in his informed liner notes, "Side B" is "a total mash-up of free jazz, hard rock, grindcore, Morton Feldman-esque swaths of indeterminacy, blues, Ellington/Evans references, spy music and more," often extending past the one-minute time requirement (varying between one and three minutes in length). The work is reminiscent of John Zorn's late ’80's works, such as Naked City, except that Cline's "focus" is much more abstract. 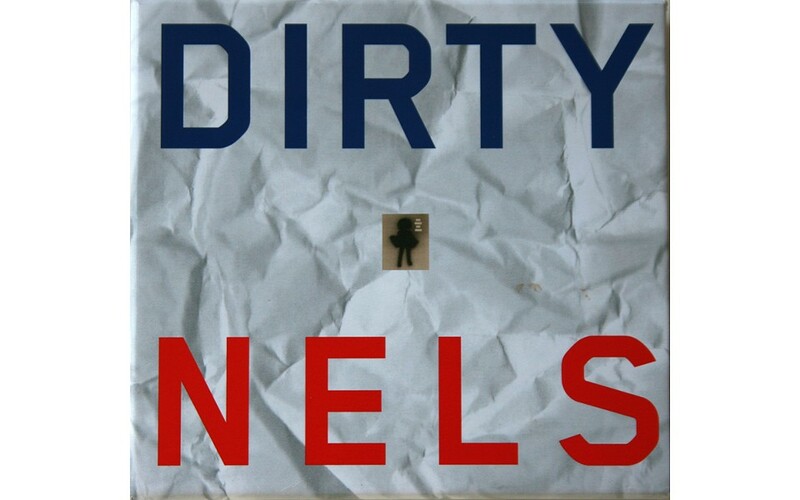 Dirty Baby is a brave, challenging work that requires attention, not only to Cline's compositions, but also to the visuals, often taking the form of a redacted document, serving as a sub-metaphor of the Los Angeles region where Ruscha and Cline are ingrained. Cline's accomplishment is in creating imaginative and varied musical "soundscapes" that brilliantly serve Ruscha's stark, ominous landscapes.